Originally written in 1921 for the author's grandchildren, Hendrik Willem van Loon's The Story of Mankind has charmed generations with its warmth, simplicity, and wisdom. 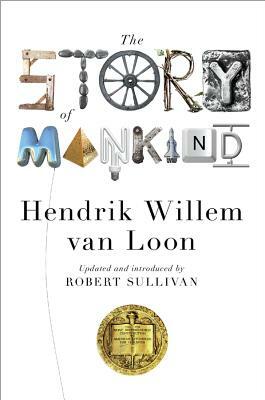 Rather than the dry recitation of events so common in school textbooks, van Loon's witty, amiable tone animates the story of human history as a grand and perpetually unfolding adventure. Beginning with the origins of human life and sweeping forward to illuminate all of history, van Loon's incomparable prose and original illustrations present a lively rendering of the people and events that have shaped the world we live in today. This new version has been brought up to date by best-selling historian Robert Sullivan, who continues van Loon's personable style, incorporating the most important developments of the early twenty-first century, including the war on terrorism, global warming, and the election of Barack Obama. Engagingly written, delightfully informative, and always entertaining, this is the necessary classic of all ages, for all ages.